Yesterday saw the release of Twitter’s biannual transparency report, for the first half of 2016, and it revealed some alarming if perhaps not massively surprising, facts about which countries are trying to intrude most into the private social media activity of their citizens. First, to the USA, which has come top of the pile when it comes to making requests for information about users. In the period in question, US law authorities made requests for information about no fewer than 8,009 separate user accounts. To put that figure in context, the next highest was the UK with requests about just 1,071 accounts. 82% of the US requests resulted in some information being handed over, which is considerably higher than the average of 69%. Encouragingly, the countries which have poor records on human rights and freedom of speech are those with the lowest percentages of successful requests for information. For example, Turkey asked for information about 443 accounts, with a 0% success rate. The figures on requests to block Twitter accounts or remove tweets. The number of attempts almost doubled in this period compared to the last six months of 2015. In the second half of 2015, there were, in total, efforts to censor 11,092 accounts with 423 being successful. In this report, that number grew to 20,571 attempts, but just 240 of those were successful. Turkey is once again a key player in these stats, with an astonishing 14,953 of these accounts being requested by the Turkish authorities. Just 23% of their requests enjoyed any success. These figures clearly indicate that either Twitter is being more selective about those requests, or governments (specifically Turkey) are chancing their arm with these requests a bit more. It seems likely that both of these are true up to a point, but it should be noted that the President of Turkey, Recep Tayyip Erdoğan, has gone on record as saying that Twitter is “the worst menace to society”. It is certainly true that his political opponents make good use of the site and this has been a thorn in his presidency long before last month’s coup. The figures from Turkey in Twitter’s next transparency report will certainly make for interesting reading. Twitter is very open about the two main principals it is trying to balance in making decisions about requests such as these. They are committed to protecting the rights of their users to speak freely. But they have also stated that they attempt to comply with local laws. In Turkey, local laws are easily interpreted as allowing the censorship and blocking of a lot of content on sites such as Twitter and the number of requests they are making suggests there is some confidence they can get results. Most blocked Twitter accounts do come from Turkey, but the number is still a fraction of what the Government requests. Indeed, the number of Turkish accounts blocked in the period of this report actually went down. Twitter is walking a fine line and certainly doesn’t want to encourage other regimes to go down the same path as Turkey. 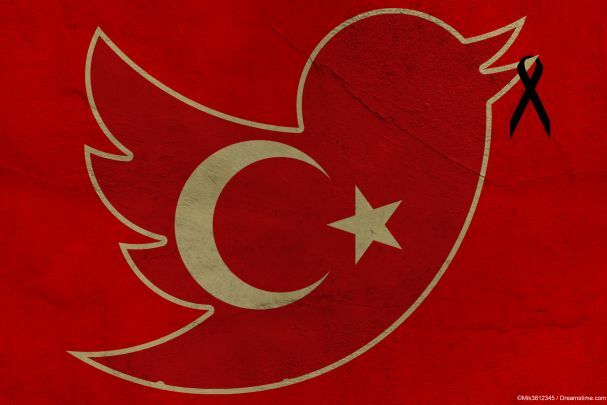 For users in Turkey, they can be sure the Government is watching their online content but also take some solace in the fact that Twitter has got their back, at least up to a point. But nevertheless, in the wake of the recent coup attempt, there has been a further crackdown on freedom of speech online in Turkey. This means that users would be well advised to take all possible precautions if using social media to speak out. This includes using a VPN to allow them to connect to the net anonymously and if possible an anonymous, or hard-to-trace Twitter account too.